but, I find them on their own a tad lack luster. I wanted a to create a cozy nest for my eggs. It was a challenge since I wanted it to be edible...of course. There's nothing softer and sweeter than Cotton Candy. For Easter gifts I nestled them in dot and striped egg cups. This dotted egg was covered in the candy Pearls using milk chocolate in place of the white to adhere the candy Pearls. To form the nonpareils cluster centers, I placed a few Daisie in a little dish and added the white chocolate just as I did for the Pearls. Then I sprinkled the nonpareils over the Daises until they were completely covered. After a few minutes they're dry and ready to apply to your eggs. I brushed a generous coat of white chocolate and nonpareils in sections. Despite the best efforts there were a few gaps that I touched up with a toothpick and another dab of white chocolate with a dusting of sprinkles. A ll wrapped up in a pink bow snuggled in a cloud of fluff. On my last trip to Seattle my Daughter in-love took me to an amazing bakery supply shop. It was literally jammed packed with every baking accessory imaginable in every nook and cranny, somewhat reminiscent of hunting through Grandmas attic. In my search I discovered an edible glitter. Yup, what more could I ask for than some added bling to my culinary confections. Take a stroll over to our gracious hostess Designs By Gollum to visit her Foodie Friday friends. 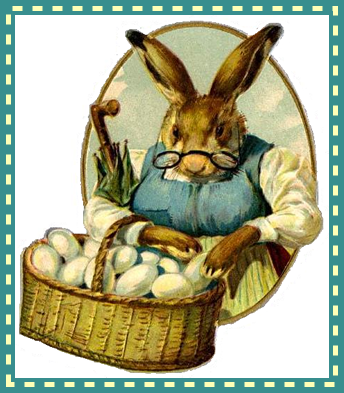 your basket is filled with a bounty of chocolate eggs. Beautiful eggs! Almost too pretty to eat. Sara, your eggs are gorgeous...so much more special looking all prettied up like that...have a wonderful and blessed Easter!!! Gorgeous and so pretty! Each one is a yummy work of art...... you have a great artistic flair. Have a Happy Easter Sara! Guess I never thought about decorating chocolate eggs. Pretty cool. You made the most beautiful chocolate eggs I have ever seen! You must have put a lot of work into these beauties, but it really paid off! I hope you have a wonderful Easter Sara! Oh Sara you create the most amazingly beautiful things. I'd love to have those gorgeous Eggs at my house on display or as place/name tag settings for Easter Dinner. But ----I don't create. and I loved the white, what was it place mats, table cloth?? with the pastel trim. You have a gift--to take something GOOD to start with and make it so incredibly GORGEOUS. Wow. Sara, I just loved how creative you got with your egg decorating....they are so inspiring and beautiful. I bet everyone loved them! Glad you are getting caught up and came by for a visit! Now I need some chocolate! So glad you popped by for a visit :) I would love to see your rose hat if you create it...I am sure it will be lovely. G, I cannot believe how much work you put into each little egg! They came out so beautiful. Who did you give them to? Neighbors? Thanks for stopping by my Auntie Jacquelines blog. Have you been to my Once Upon a Fairyland blog? I'm having a April give away called Gnomes Ahoy. You are welcome to come aboard ship! I'm from Bellingham, where is the bakery supply store in Seattle? You did an amazing job of these eggs...art in the egg for sure! Have a good week dear heart. Cheers to Pepsi and good bolony (my spelling version) sandwich days! wow...I would have never thought of such a thing. My hubs loves those eggs...I don't think I would have time before he ate them to decorate then...but they are really cute! Oh my Sara, these are beautiful...you did a great job. And the edible glitter...Oh yeah!! Happy spring to you my dear! How pretty! You did a great job decorating them. Thanks for stopping by. I added the butterflies in photobucket. Under Edit there is section for animation. It is pretty limited as to what they have to add, but I thought the butter flies were pretty. Hi Sara! Oh, what beautiful eggs! Even though they're edible - they're too pretty to eat! Thank you for your sweet visit and hope your week is going well. Look at you decorating everything up so nice and pretty! I hope everything is going well for you. Wow! How creative you are! They are almost too pretty to eat! Thank you for your nice long sweet message. I'm sorry to hear of your losses and sadness. I pray you are back to your creative self soon, creating is very good therapy! These look so good! This looks like so much fun to decorate chocolate eggs! Yum!! Thanks for your sweet comments and visits today! I always enjoy my visits here!! Wow they came out so beautiful! I have not been able to visit all I would like lately either. Big project going on at the store keeping me busy. Of to see more of your sweet blog. Sorry to hear about your situation. I hope you're feeling and doing better and you can visit more of your blog friends. So glad you came by my blog! I was away for a week, so I'm catching up with EVERYTHING too! Your eggs are precious! I bet the recipients loved receiving them. Love the egg cups too. I haven't seen any like those. Hope you had a great Easter! Wow Sara, you must be so patient as well as talented! These decorations are so intricate and very very beautiful! How lucky would someone be to find one of these in Easter basket! I am so glad you came to visit my blog. Thanks so much for your sweet comment too. I look forward to seeing what other treats you blog about in the future. Hope that you will come back and visit me again soon too. Pretty eggs. Your Cadbury's Creme Eggs look so different to the ones here in the UK. Where are you?! OMGosh, what a SWEET post, Mizz Sara. They really are beautiful. You're so talented at this! Oh my goodness........you took those boring little eggs up a notch, didn't you? They look so springy now! And, I'll bet they're delish. I had a wonderful day with my little daughter. We always laugh so much. And, yes! LOVE spring. It's my favorite season. 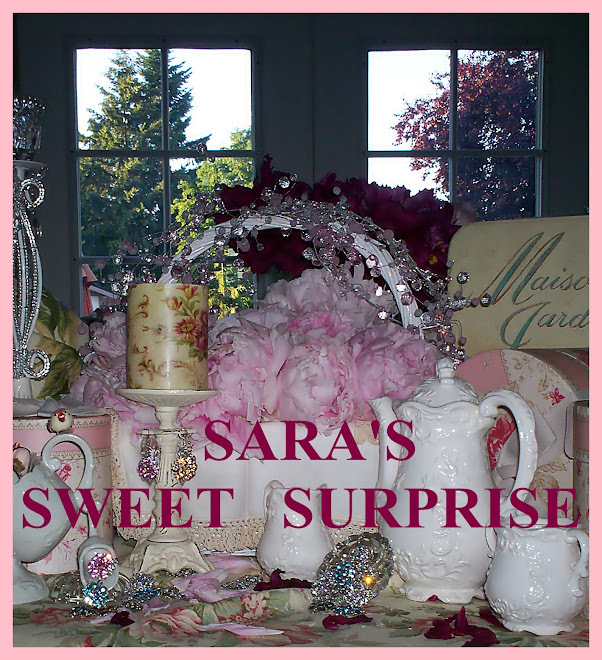 Sara, Your creations are absolutely gorgeous & look delectable! I apologize for not being by more often, & am sad to learn of your loss & know that prayers are lifting for you. Everyone would be pleased to receive one of these beauties. Spring has sprung, the air is filled with the sweet scents of the florals & beauty of colors. Enjoy! I'm sure you heard it before, but the eggs are almost too pretty to eat...but I can get past that!! Sara! So glad you stopped by (several times, in fact). You are such a sweetheart! Okay, I must be losing it but I had no idea you lived in Vancouver, Washington. Did I read that right? We should get together sometime! Maybe your sweet surprises like these decadent Easter Eggs will help me with the SAD. Lol! I will no longer be SAD if I'm around those yummy goodies. You are so wonderful with your desserts!! Oh and the heat thing.....I think I could take that heat about now (but not for long if I sweat buckets). Hemet...isn't that inland Southern California? Ummm....gosh, I can't remember...did I miss an award from you (could have been someone else). Ugh! Lots of love and hugs!! It's seems so much does happen when we are away from blogland. I'm praying for you and that this month is a month of renewal for you just as you said. I'm also enjoying the better weather but not taking advantage of it like I should. I hope you stop by for a visit again real soon. OH MY GOSH...I have never seen such gorgeous candy in my life!! !Sara you are so amazing and how could anyone eat those??? I hope Martha saw them!!!! She needs your talent on her show more often!!! Thanks for visiting me, always love seeing you and reading your sweet comments. i think these treats are so yummy looking they are almost way to pretty to eat! oh my gosh. i love them! what a genius idea. also. dang. easter is over. maybe i can find some eggs on clearance somewhere. Sara, You are just too creative! I was catching up with your blog and I'm so sorry to hear of your losses. It seems that there have been so many heartaches these past couple of weeks. My thoughts and prayers are with you. Those are so cute! I hope you had a good Easter!